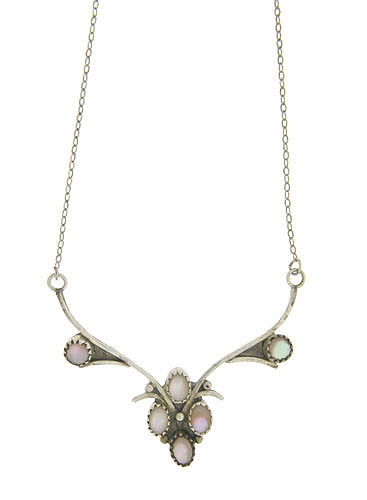 This unique sterling silver pendant necklace features a modern branch design with bezel set mother of pearl stones. The oval polished stones appear as abstract flowers attached to the shining branches. The pendant measures 3" long, 3/4" wide. The attached chain is 13" in length.